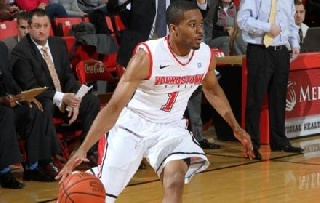 Youngstown, Ohio – The Youngstown State men's basketball team will host Canisius in the second round of the 2013 CollegeInsider.com Postseason Tournament, Saturday, March 23, at 7:05 p.m. at the Beeghly Center. Ticket prices will remain the same as the first round: $10 for reserved, $7 for general admission, YSU students are free with a current and valid ID. Tickets go on sale at 2 p.m. at the YSU ticket office and will be on sale at the YSU women's basketball WNIT game at the Beeghly Center. Penguin Club members and season-ticket holder have until 5 p.m. Friday to renew their tickets at the YSU ticket office. The ticket office will be open on Friday from 9 a.m. to 5 p.m. and from 10 a.m. to 5 p.m. on Saturday. Gates open at 6 p.m. at the Beeghly Center. The Penguins (18-15) won the first postseason tournament game in school history by defeating Oakland, 99-87, on March 19 to advance to the second round. Canisius (19-13) moved on by knocking off Elon, 69-53, on March 20. Youngstown State set a school single-game record with 18 3-pointers against Oakland to secure its 18th win of the season, the most since 2000-01. Junior Kendrick Perry scored a game-high 31 points, and senior Blake Allen tied a career high with 27 points to become the 35th YSU player to score 1,000 career points. This is just the fourth meeting between the Penguins and Golden Griffins in a series that dates back to 1941. Canisius won all three previous games, the last one a 71-59 at the Beeghly Center on Nov. 26, 2006. Canisius, who has recorded a 14-win improvement from 2011-12, finished fifth in the Metro Atlantic Athletic Conference with an 11-7 record in and its 19 wins are the most since the 2000-01 season. The Griffs' 11 conference victories were the most since the 1998-99 campaign.